WELCOME TO MY DYNAMICS STORE! Browse our store for a diverse selection of products and services to support your business growth. 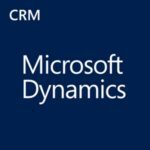 This store is operated on behalf of Microsoft Dynamics 365 Partners by InfoGrow.